The Week in iOS Apps: Hail, yes! This week’s roundup of new and updated iOS apps includes ways to track the presidential campaign, a peek inside the body, a better method for hailing a taxi, and the ability to draw really awesome dragons. 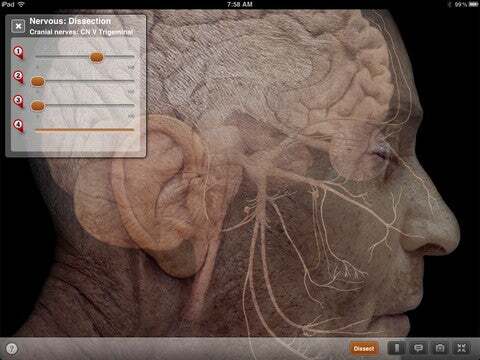 The Anatomy & Physiology Revealed app peeks inside the body. See below. Anatomy & Physiology Revealed: It’s just about back-to-school time, which means it’s also back-to-school for aspiring doctors. Med school students will have access this fall to McGraw Hill’s new $50 Anatomy & Physiology Revealed: All Systems app for the iPad, part of a burgeoning line of medical textbooks from the publisher. The app has photographs of an actual human cadaver, which can be uncovered with a “layering” technique that lets students take a closer look at more than 5000 anatomical structures. It’s both awesome and gross. ArtStudio for iPad: One of the most comprehensive drawing apps for the iPad just got comprehensive-er. The $5 ArtStudio for iPad has been revamped with a updated user interface and a host of other new features, including bigger canvas sizes—with those max sizes varying depending on the generation of your iPad. (The new iPad offers the biggest possible canvas, of course.) There are also 300 different digital brushes at the artist’s disposal, along with a number of new effects that help the artist get precisely the image they’re trying to create. 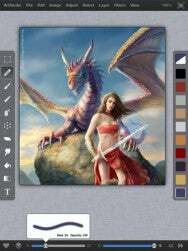 Also, judging by the publicity images, the app lets you draw dragons and beautiful women with swords. Obama for America/Mitt’s VP: If you want to follow the presidential campaign closely, you can do it on your iPhone, no matter your particular political persuasion. The free Obama for America app lets supporters keep up with Obama campaign news, offers opportunities for campaign volunteering, and lets you share the campaign’s message with friends via Facebook, Twitter, or text. The Mitt’s VP app is somewhat more narrow in focus, promising users that they’ll receive a push notification the precise moment the Republican candidate announces his running mate; there are also features that let users earn “exclusive merchandise.” Unfortunately, there’s no Pat Paulsen app quite yet. ProtectStar iShredder Pro HD: Digital security was the talk of the tech community this week after former Macworld staffer Mat Honan was the victim of an “epic” hack. The $5 ProtectStar iShredder Pro HD for iPad app wouldn’t have saved Honan from the attack he suffered, but it might be useful for tablet owners who keep highly confidential information on their iOS device. The app likens itself to the digital version of a paper shredder—one that features “military grade” security; it lets you ensure that deleted documents and photos really have disappeared from your device, and can’t be accessed later by a clever hacker. This week’s update includes a new design and new layers of NATO-standard security. 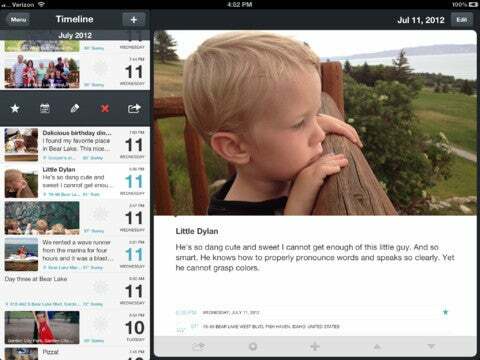 It’s the kind of app that Peter Graves would have on his iPad. Taxi Magic: Getting a ride these days is as easy as pulling your iPhone out of your pocket. 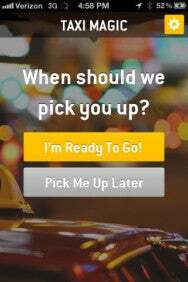 The free Taxi Magic app for iPhone lets users hail taxis from 75 fleets in 45 cities. The recent update adds new features, include the ability to do advance scheduling of your pickup, as well as the option to “favorite” particular locations and taxi companies for quicker booking. There’s also improved taxi tracking, to let users know that their cab is going to be on time. WordPress: Bloggers rejoice! The latest version of the WordPress app for iPhone and iPad arrived this week, with a new user interface that includes sliding panels (in the tablet version) for improved navigation. The app also features a new sidebar menu, easier signup for the WordPress service itself, a post preview function, and new access to analytic stats that let users know just how many people are viewing that blog post. Other apps of note: FlightTrack Free, a free version of the flight-tracking app, made its debut … Google Earth was updated with 3D aerial views of major cities … GoodReader added support for Microsoft’s SkyDrive cloud service … PDFPen added support for two new Bluetooth styluses … the New Yorker magazine expanded from an iPad-only offering to include the iPhone … Smule launched its new Sing! karaoke app … and Weather HD 2 launched with new weather animations and 3D maps.